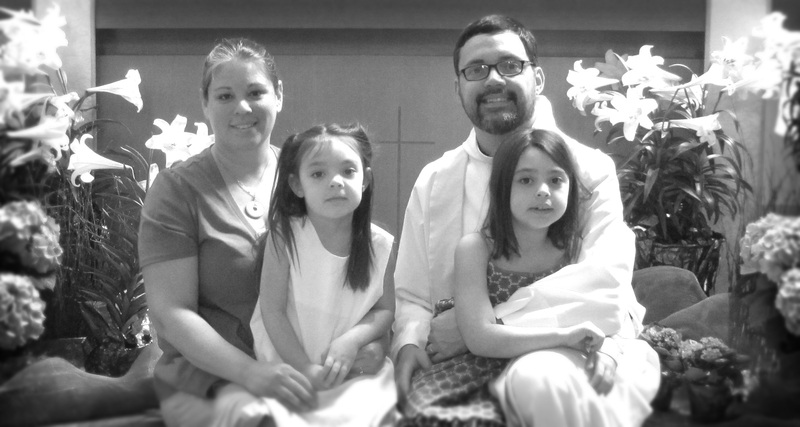 The following is a reflection on Mark 16:1-8, the secondary Gospel lesson for Easter. 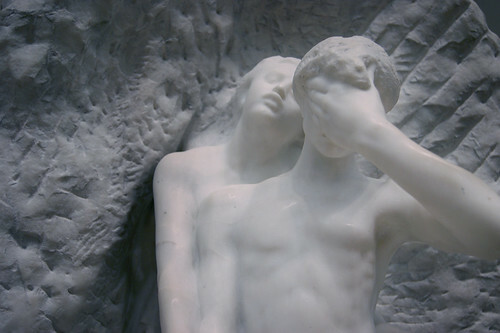 Orpheus and Eurydice by Auguste Rodin. MMA. Photo by Rick Morley. I’ve become a devoted fan of the AMC Series “The Walking Dead.” I think it’s terrific drama, and it makes some subtle and quite accurate statements on humanity, hope, and community. It was just a few Sundays ago that the season finale aired. The second season, while very good, was kind of slow when it came to action—though I thought it was thick in plot and drama. But, in the last episode of the season the whole thing got cranked up. There was nail-biting action and violence. Hardly a moment went by that there wasn’t some tension somewhere. And, the show, and therefore the season, ended with a HUGE cliffhanger. As the credits rolled I sat in my living room with my mouth literally agape, and was stunned that the show and the season had ended so abruptly. AND, I was stunned that we would have to wait until next fall to see what happens next. Of course, this isn’t as worse as it gets. Last year I got sucked into NBC’s “The Event.” Not long after the first season finale aired, and plot questions abounded, I got word that the show was cancelled, and that there would be no second season. Anyone who’s ever passed New Testament 101 knows that the Gospel of Mark has a weird ending. In fact, the ending was is so weird that other early Christians were uncomfortable enough with it that they penned another ending to the Gospel. While Mark 16:9-20 are in our Bibles, there is no shortage of footnotes to tell us that the earliest manuscripts of Mark don’t include them. Mark didn’t write this longer ending. Mark’s Gospel ends with the women—who have just been commanded to tell the disciples the Good News that Jesus had been raised from the dead—running off in fear not telling anyone anything. The best news the world has ever had has just been given…but the news is never communicated. Mark’s Gospel ends in silence. And fear. Jesus may live, but the Good News dies with the women at the tomb. So, I can see why this ending is so uncomfortable that others felt compelled to add to it. To clean it up. Add some closure and faithfulness. Some have wondered through the millennia, whether the last page of Mark got lost somehow. Maybe he didn’t back up his hard drive? Maybe the dog ate it? But, along with a host of scholars and literary experts, I think the ending is quite intentional. Mark, like any first century writer, would have been skilled in the art of rhetoric. And, if you want to infuse in your readers a sense of expectancy and urgency…what do you do? You end with a cliffhanger. Of course, we all know that someone had to have said something to someone about the resurrection – otherwise Mark would have never heard the Good News and composed this Gospel. Otherwise we wouldn’t be Christians today. No, someone told someone else something. That’s for sure. And that’s the tension that the ending of Mark evokes. You KNOW that the story has a next chapter, but like “The Event” there won’t be a second season to the Gospel of Mark. But, unlike “The Event,” the story goes on. The abrupt and awkward ending to the Gospel of Mark provokes the asking of several rhetorical questions, questions which are of ultimate importance as we celebrate the resurrection on Easter Day. Jesus is risen. He is not here. We will not find him in a tomb. For he is no longer dead. Death has been conquered. What will I do with this news? Who will I tell? Will I give this Story one more chapter? Or, am I too fearful to do any of that? I think Mark is leaving the ending open so that the church is the next chapter, we are the next chapter, whether your a first century Jew in Rome, or a twenty first century Episcopalian. You took the words out of my mouth. That’s exactly where I’m taking my sermon this Sunday!